This study’s aim was to understand the effect of mine characteristics on cradle-to-gate life cycle impacts of surface coal mining in the USA. Five bituminous coal strip mines were used as case studies. The study assessed the life cycle water use, land use, energy use, abiotic resource depletion, and climate change impacts. The study employed the general principles of the ISO 14040-49 series LCA standards, modifying them where necessary. The functional unit was defined as “one tonne of processed coal at the mine gate.” The relative mass–energy–economic value method, with some modification, was used to scope the product system. Data were obtained from environmental impact statements, coal mining permit applications, government reports, and published literature. 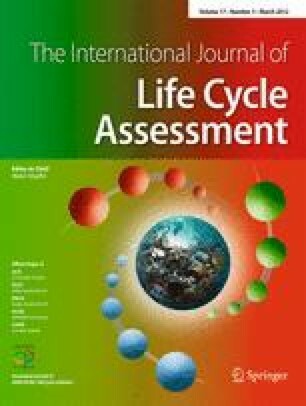 Life cycle impact assessment (LCIA) included classification and characterization but no normalization, grouping, or weighting, to avoid ambiguity. In this work, mid-point characterization models were preferred over damage-oriented (end-point) characterization models because of their high levels of uncertainties. The LCIA also included sensitivity analysis. For the studied mines, life cycle potential water use impact is 178 l/tonne of processed coal at the mine gate. The potential land use, energy use, abiotic resource depletion, and climate change impacts range from 3 to 10 m2 year/tonne, 97 to 181 MJ/tonne, 7.8 to 9.4 kg Sb-eq./tonne, and 38 to 92 kg CO2-eq./tonne, respectively. Land use impacts depend mainly on land for coal extraction activities and the climatic conditions of a region, which affects the vegetation recovery rate, following reclamation. Economies of scale significantly influence land use, energy use, abiotic resource depletion, and climate change impacts. Geology, which determines stripping ratio, coal quality, and coalbed methane, affects land use, climate change, and energy use impacts, particularly energy for overburden removal, reclamation, and beneficiation. The data show that large-scale mining operations have lower life cycle impacts due to economies of scale, which results in lower energy use. Also, land use impacts, measured by land occupation, are affected by geologic conditions. This study provides insight into sources of variability in life cycle impacts of coal mining. The authors recommend timely reclamation to minimize land occupation impacts, as well as adoption of large-scale production, where appropriate, for efficient use of land occupied by mine facilities.